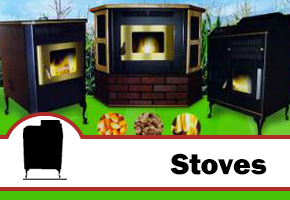 AmaizAblaze Stoves carries corn stoves, suitable for homes of every size. Choose Gold style for an attractive look from any of our charming models. 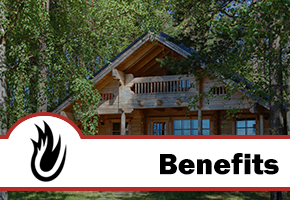 Corn burning stoves come with a variety of benefits you'll love, including affordable maintenance, efficient heat production, and cleaner burning. 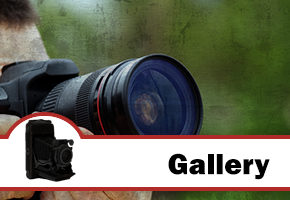 Take a look at our gallery page to see some of the stoves we have to offer, and to find out why we're such a trusted company. Corn stoves from AmaizAblaze Stoves are easy to maintain and great for the earth. Based in McComb, Ohio, our shop stocks stylish Corn or Bio Mass stoves designed to cut your energy costs as much as 50%!. When you are tired of chopping wood or simply tired of the smell of propane in your home, try one of our deluxe models. These stoves produce at almost 95% efficiency, making them the best choice for conscientious homeowners. Our motto is taken from Jude 1:22 "And some having compassion; making a difference." We "have compassion" on you the customer seeing your need to stay warm in your house but not suffer high costly fuel to warm your home. So we want to make "a difference" by providing you a heat source that uses low cost fuel and also warms your house nicely. Since it uses renewable energy we also make "a difference" in the planet. By burning mutliple grains including corn in the stove the exhaust produce important carbon dioxide that your outside plants need to live. Everyone wins! Contact us today to browse our selection of stoves, and discover a new way to look after the earth for years to come.